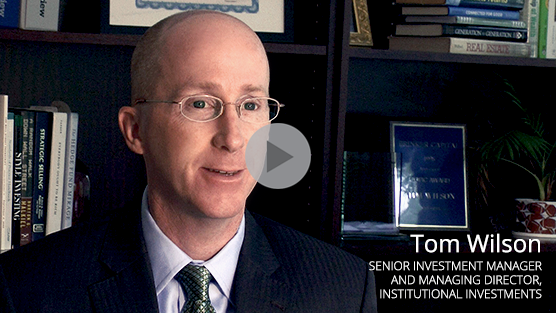 A solutions-based approach for tailored investment management strategies. That’s the Brinker Capital difference. A savvy partner, sound advice and solid investment results. Personalized to meet your institution’s objectives. You are passionate about your institution’s mission and are busier than ever making it all happen. You don’t have the time to oversee your institutional investments, so you have to partner with a team that you can trust will help to manage the assets to support your institution’s goals. Our commitment to our clients is what really sets us apart. As a private company, we are free from the pressures of quarterly earnings. Our clients know that we will focus entirely on meeting their needs. Wealth Advisory specializes in servicing endowments, foundations, pension plans, corporations and not-for-profit organizations. We offer a wide range of portfolios that follow our multi-asset class investment philosophy, which includes both traditional and alternative asset classes. Because we believe so strongly in the soundness and objectivity of our recommendations, we assume fiduciary responsibility for initial and ongoing asset allocation and investment manager selection. We begin our consultation process by learning about your institution and how the assets might help your organization meet its goals and objectives while preserving purchasing power. This will include discussions about time horizons, risk tolerance and spending needs so that we can develop an investment strategy that is truly personalized to your institution’s needs. With Brinker Capital you gain the essential support you need to protect and grow your assets: a savvy partner, sound advice and solid investment results.